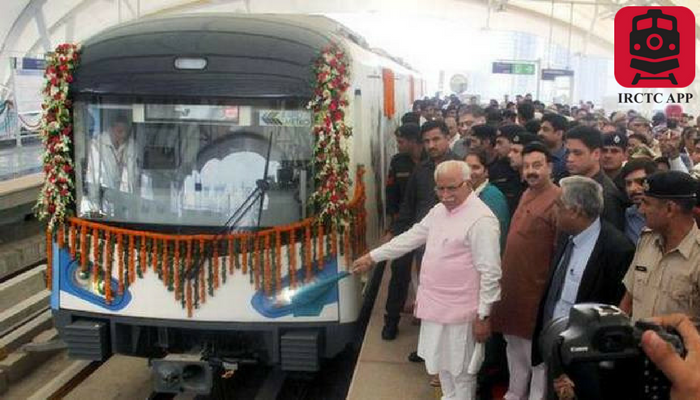 Haryana Chief Minister Manohar Lal Khattar on Tuesday said a web of metro rail network would be woven in and around the Millennium City to ease the traffic woes of commuters. Mr. Khattar said there was a plan to extend the Yellow Line of the Delhi Metro Rail Corporation up to Netaji Subhash Chandra Chowk on Sohna Road. The Chief Minister was speaking after inaugurating the Rapid Metro’s South Extension Line here. He said the problem of traffic congestion in the city would be dealt by adopting a mass rapid transport system. “Roads are being constructed and metro connectivity is being extended to ease commuting between Delhi and Gurugram. It has been planned to link Dwarka with Gurugram through metro,” he said. The Chief Minister further said that the Railways had prepared a draft plan to develop the Gurugram railway station as a terminal. Besides, there is a proposal to start pod taxi from Dhaula Kuan to Manesar. A flyover will also be constructed near Ambience Mall here to ease congestion. Work on Northern Peripheral Road and Southern Peripheral Road is going on at a fast pace. Later, he travelled by the Rapid Metro with women Sarpanches and underprivileged children. He also took feedback from them about the functioning of Panchayati Raj Institutions.